Your files are organised into class, and are available where you want them to be. You have complete control over who has access to specific file, and as teams change your permission levels can be adjusted instantly. Manage your teams centrally. Teams are made of both internal members and external connections of your company. Our service makes it easy to assign people to projects, grant or restrict access rights or view changes by person, project or action. And stay productive on the move. 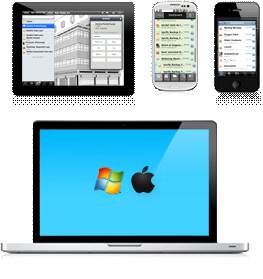 Now with over 800 mobile devices supported including Windows phone, iPhone, iPad, Android phones and tablets and BlackBerry, you can be sure to always be connected and have access to critical data.